In a quick ode to Daniel Day Lewis, let's quickly recap: he has two Oscars already, both for Best Actor in Leading Role (no pesky Best Supporting Actor roles here). He only does a movie every two or three years, and they're almost always commercially successful (um... except Nine..). He's also one of those crazy 'method actors' who can't break character the entire time they're filming. Do I believe he is probably a complete weirdo in real life? Absolutely. But I thank him for it. And I thank Steven Spielberg for choosing this weirdo to be in this movie because I cannot imagine anyone else playing this part. He even freaking looks like Lincoln! (Which yes, I know is mostly thanks to the make-up people.) 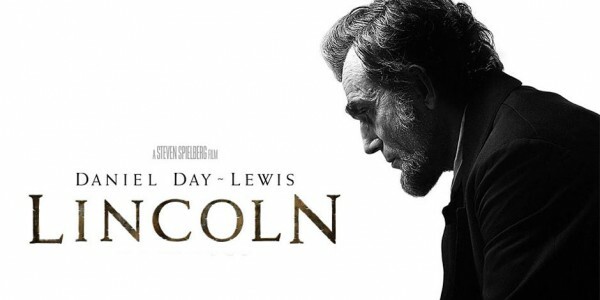 Frankly, the movie poster says it all--Daniel Day Lewis. Lincoln. That's pretty much the movie. Anyway, I could go on and on about all the amazing historical details Spielberg subtly included in the movie, but one thing that really struck me was Lincoln's apparent penchant for diverging into little anecdotes at particularly irritating times. In some ways, it added a lightness to an otherwise very heavy movie, but it also sometimes felt like you were trapped in your grandfather's house, listening to him tell you old war stories while your parents silently scold you to pay attention and act interested. It's also all dialogue. Like, all. So anyone who doesn't have a solid grasp of the English language or needs a hearing aid is not going to understand half of what is being said. Again, I found it interesting because it gave a glimpse into Lincoln's ability to negotiate through tenuous political situations, but... that kind of description doesn't exactly scream a lively Saturday night. Oh, and Tommy Lee Jones' wig is the worst piece of hair I've seen since Tom Hanks in The Da Vinci Code. Final word: It's a really well done movie on an interesting topic, but I hope never to sit through it a second time. I'm dragging my feet to see this already, and your review isn't making it any easier. Too many long, boring (but Oscar nominated?) movies out right now.